A quick and flavoursome mid-week vegan meal doesn't get any easier than this. 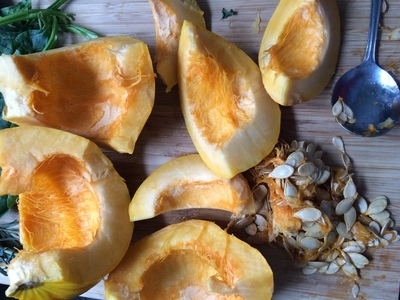 High in fibre and sweet in texture, harlequin squash is a winner all round. 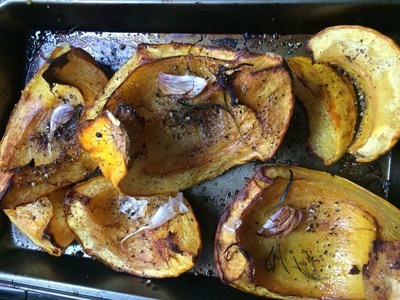 Scrub the outside of the squash and roughly chop into chunks. 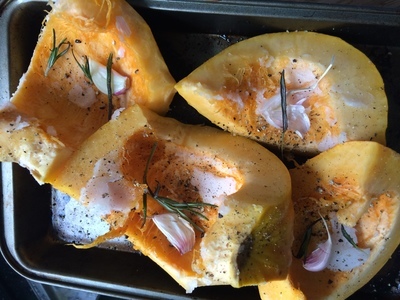 Add the oil, rosemary, garlic and pepper to the squash and place in the oven at 170 degrees for 40 minutes. 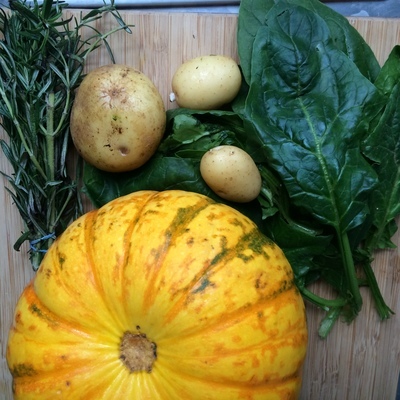 Serve with torn spinach and grate over some fresh nutmeg.